The Cala D'Or Playa Apartments are located 500 m from the beach front in the lively resort of Cala D´Or on the Island paradise of Mallorca. Resting between the beautiful beaches of Cala Gran and Cala Esmeralda, this friendly and affordable 3 Star hotel makes a comfortable base for couples and families featuring 116 one bedroom apartments extensively refurbished during the winter of 2004 and spread over two 4-storey buildings. 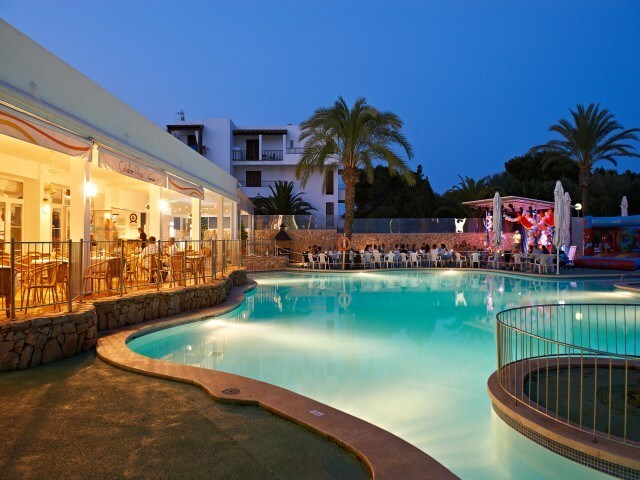 The picturesque Cala D'Or marina and pedestrianized centre of the resort is 800 m from the complex with a wide selection of bars, restaurants and shops. Getting to the hotel: Palma de Mallorca - Son San Joan Airport is 60 km from the Cala D'Or Playa Apartments. Local tips: Cala D'Or is made up of six little coves with golden sand and turquoise waters and is a great value destination.